Newly published in 2018, Echoes of Exodus, gives readers a swift tour through the Bible to uncover many of its exodus events and motifs. The subtitle indicates that the purpose of Echoes of the Exodus is to help us in Tracing Themes of Redemption through Scripture. What you get in Echoes of Exodus is that and much more. The exodus theme is prominent in the Bible from beginning to end, but we need a some help in seeing it. Usually when we hear the word “exodus” we think of that one great event recorded in the Book of Exodus. Alastair Roberts and Andrew Wilson, both bloggers, speakers and capable writers give us in Echoes of Exodus practical insights into finding the exodus theme across the whole of Scripture, not just in the Book of Exodus. Another book with a similar title Echoes of Exodus: Tracing a Biblical Motif by Bryan D. Estelle is almost 400 pages long. This study by Estelle confirms that the thread or theme of exodus is replete in Scripture. The value of the new book by Roberts and Wilson is that it is written to reach all readers – – from those seeking an overview to mentors looking for another Bible study resource. At 176 pages in length Echoes of Exodus can be used as a personal guide in reading the Bible or as a study guide in a small group setting. Each chapter ends with a list of thoughtful questions for discussion or further study. This book is laid out so that its content is very accessible. You will enjoy it. The exodus is central to the Scriptures, central to the gospel, and central to the Christian life. Whatever book of the Bible you are reading, and whichever Christian practices you are involved in, echoes of the exodus are in there somewhere. That focus made plain in Echoes of Exodus helps us see several important characteristics of the Bible. The thread of the exodus helps us move away from a tendency to compartmentalize Scripture or to over-categories its narrative structures (such as is common to Dispensational theology). 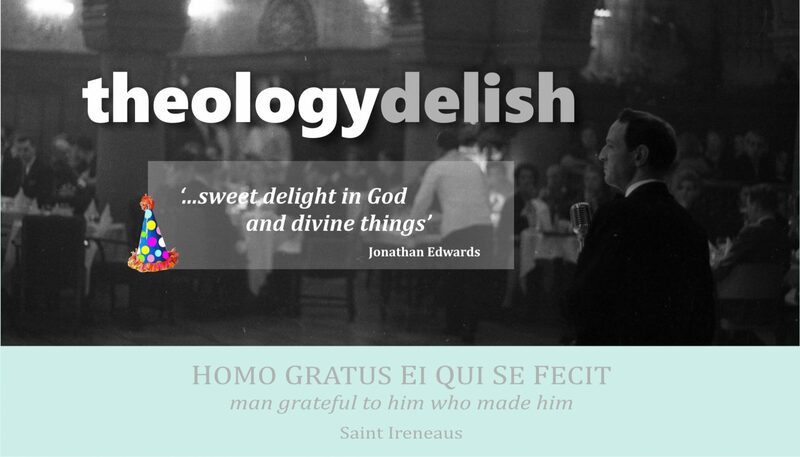 Even in our modern era we suffer from what they call “marcionite” tendencies…which leads us to consider the next help. By enjoying the exodus theme in both the Old Testament and New Testament we get their help in seeing these two chunks of Scripture have more in common than not. We can see how the key exodus threads in the OT run into and are amplified in the NT. We see sub-narratives throughout that add rich color and vibrancy to the key threads in the Bible’s meta-narrative. Getting these benefits will brighten your grasp of the Scripture’s meaning at the time it was written and its meaningfulness for us now. The threads of the exodus in Scripture give us a greater appreciation for who Christ is in all of Scripture. 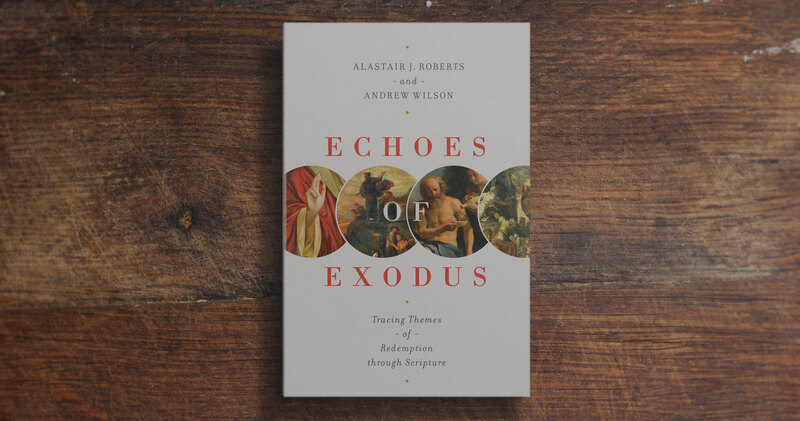 Roberts and Wilson ably demonstrate how all these fascinating metaphors, motifs, events related to exodus create longing for the ultimate exodus in Christ. He brings us home. This emphasis on tracing redemption theme in the exodus are not new. N. T. Wright has portrayed the exodus thread many times in his books and talks. Roberts and Wilson help us dig into Scripture for ourselves and find these gems in its opened pages. You will find that uncovering the exodus threads will be more than adding information on top of information you already know. The exodus in Scripture is deliberately placed throughout by the Spirit to bring us into revived life in Christ – individually and corporately. “The point is this: metaphors have great power to fashion the way we conceptualize things…” (loc 128). For more information about Echoes of Exodus you can download a sample at the Amazon page or in whatever app you use for reading. The publisher Crossway has an authors page and preview which includes an excerpt you can download. Recently one of the authors Alastair Roberts gave a helpful talk on 10 key ideas about the exodus theme. This talk was hosted by Friends of L’Abri group in Birmingham, Alabama. – lecture by Roberts hosted by the Theopolis Institute (episode 136 on Sound Cloud). This is a re-post of the Friends of L’Abri group in Birmingham, Alabama. See what other readers are saying about this book over at GoodReads. Here’s a little info about the authors. Alastair J. Roberts (PhD, Durham University) is one of the participants in the Mere Fidelity podcast and a fellow of Scripture and theology with the Greystone Theological Institute. Roberts has a key role in teaching Davenant Institute. He will we leading in important discussions this Summer on Christian wisdom. Andrew Wilson (PhD, King’s College London) is the teaching pastor at King’s Church London and a columnist for Christianity Today. He is the author of several books, including Unbreakable and The Life We Never Expected (with his wife, Rachel). Note: I was provided a free copy of Echoes of Exodus without regard to a positive review or restrictions on the content of this review.